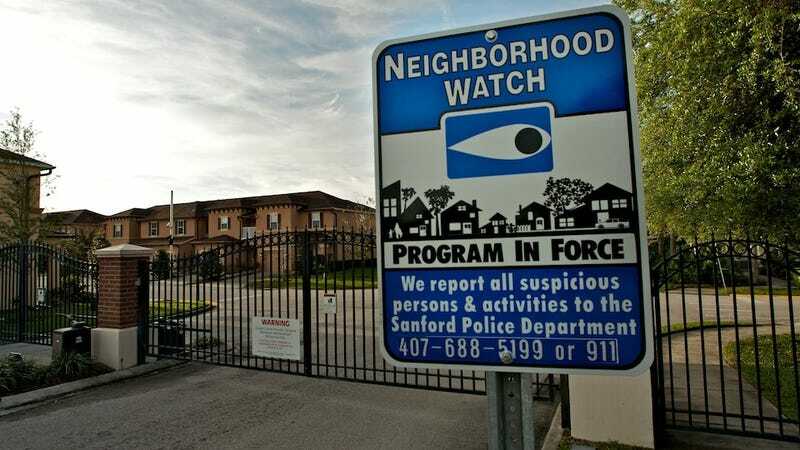 After unregistered gun-toting neighborhood watcher George Zimmerman shot unarmed black 17-year-old Trayvon Martin, the shooter claimed self-defense, that Martin instigated the violent encounter. But as more details from the case emerge, Zimmerman's claim seems increasingly flimsy. Now, it seems that this isn't the first time that Zimmerman was involved in a violent encounter that he claimed was totally the other person's fault — he's used the same excuse with his ex girlfriend. On the day he was shot three weeks ago, the only heat Trayvon Martin was carrying that day was a pack of Skittles and an Arizona Iced Tea. But Zimmerman claimed, in an unhinged-sounding 911 call, that the teenager was acting suspicious. Zimmerman also claims the teen attacked him first, but cell phone records show that Martin was on the phone at the time of the shooting — a highly unlikely time for someone to attack someone. The woman reported Zimmerman had arrived at her home Aug. 8 and asked to talk. Later, when she asked him to leave, she said, he insisted on staying and demanded documents she had. The woman said she offered to drop the papers off the following day, but Zimmerman became upset, took her cellphone and shoved her. A fight ensued, she said, and her dog bit Zimmerman's cheek. Zimmerman filed his own petition the day after his ex-fiancée's, in which he claimed that she had been the aggressor in the fight. He said she called him Aug. 8 and invited him to spend the night. Zimmerman would later go on to say that his ex, not a dog, had bit him in the face. The ex-fiancée also claimed that Zimmerman slapped her with his open hand across her face in 2003, which Zimmerman countered with a claim that she'd assaulted him with a baseball bat. No matter what version of events are true, one thing remains clear: don't be black or a lady around George Zimmerman. He considers that an attack.